Since Bethesda released the first Elder Scrolls game back in 1994, the series has become a favourite of role-playing fans, with games like The Elder Scrolls V: Skyrim selling millions of copies and being crowned game of the year by many outlets. Bethesda has released seven Elder Scrolls games after the original became a cult classic back in 1994, but which of these games is best and which is worst? The series no doubt has had its highlights and not so great entries too, and given the popularity of this role-playing series each player is likely to have a personal favourite. So without further ado, here follows a list of the Elder Scrolls games, ranked from worst to best. Despite the cool characters and action, Battlespire wasn’t the best Elder Scrolls game. Battlespire, a standalone spin-off of The Elder Scrolls series, abandoned the epic scope of its predecessor Daggerfall, focusing instead on delivering an action-packed experience to players. So while Daggerfall’s characters were flat and had repetitive dialog, Battlespire offered more colourful personalities to interact with. At least this gave players a reason to fight through the game’s dungeons and progress in the history, which featured arch-villain Mehrunes Dagon (who would also be the main antagonist in the later Oblivion game). 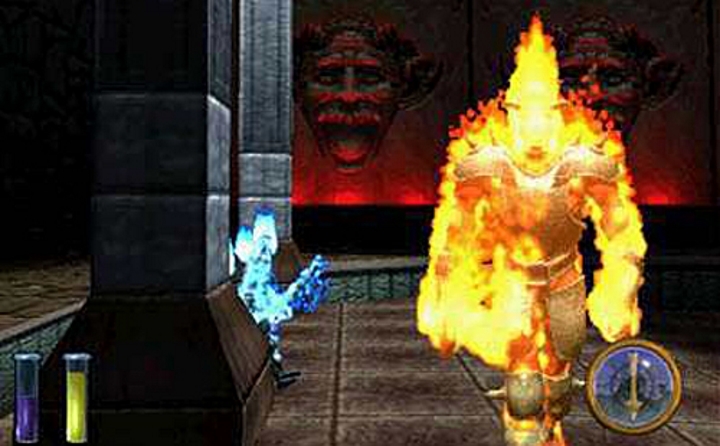 But the game’s graphics engine, while pretty advanced for the time, was prone to clipping meaning enemies could get stuck in a dungeon’s walls and furniture. And the game’s bugs and crashes sadly made player’s experience with Battlespire not as enjoyable as could have been. Although at least this game added multiplayer features to the Elder Scrolls universe, which would not be seen again until Bethesda’s The Elder Scrolls Online was released in 2014.